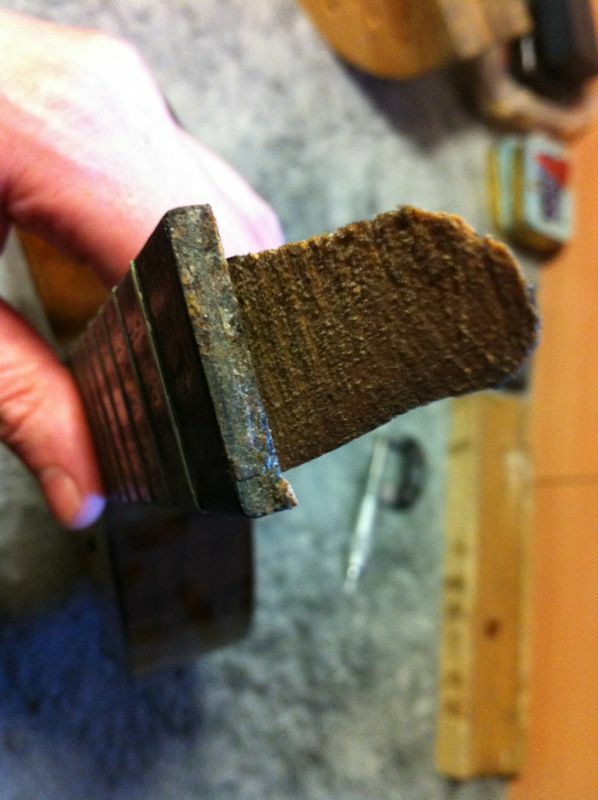 Vintage Flat Back Mandolin Neck Repair. 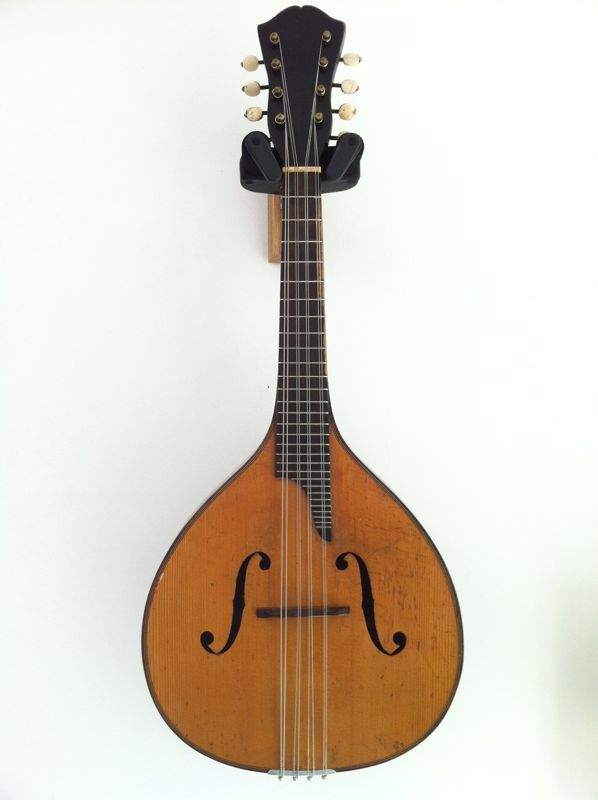 This is an old flat back style mandolin with a maple top. 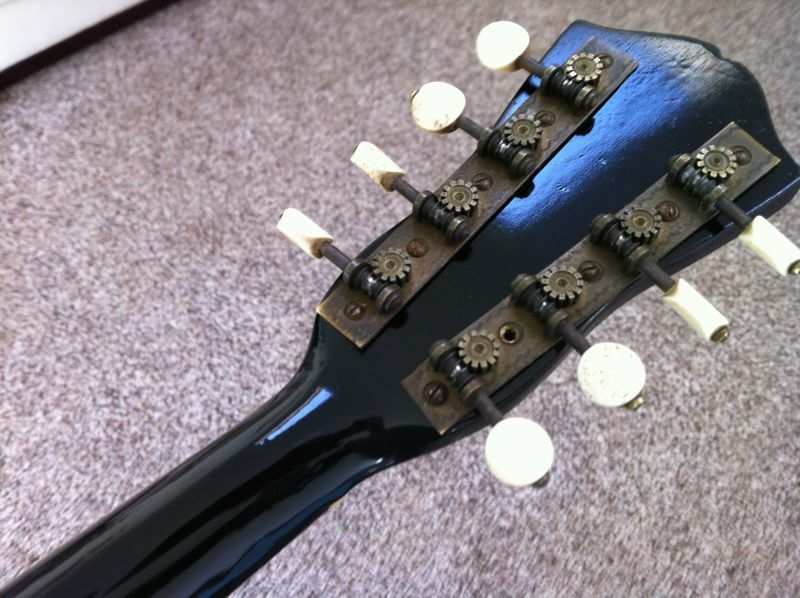 The tuners appear to be ivory. I do not know the makers name. 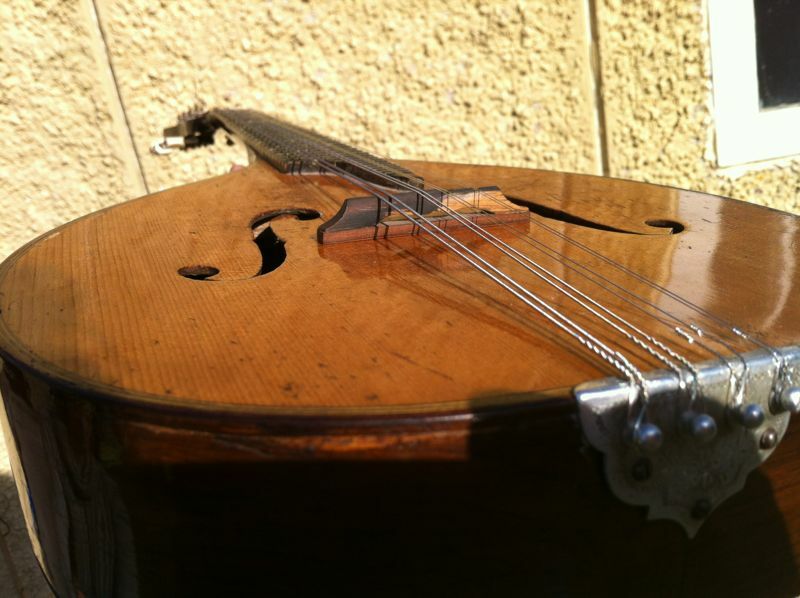 This mandolin had a little accident breaking the neck into two pieces. 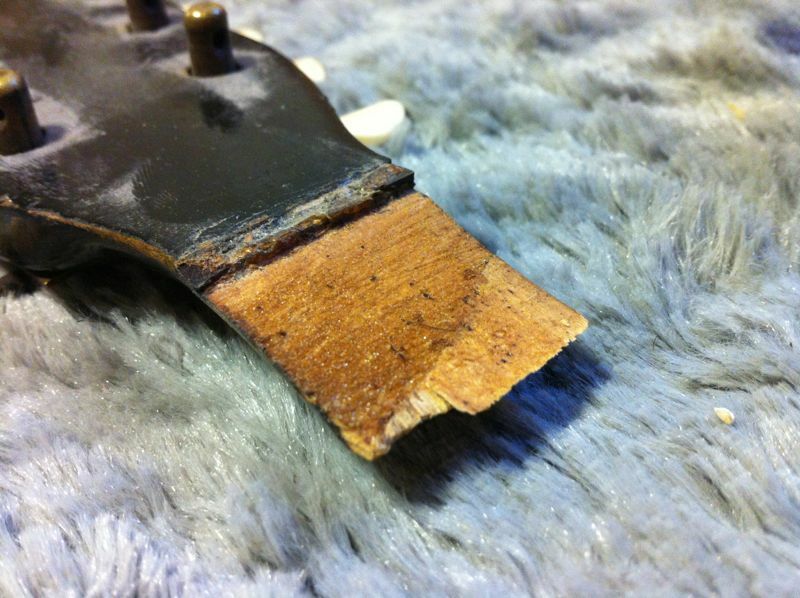 It appears to have been repaired once before using hide glue. Black nitro cellulose lacquer to blend in with the original finish. ← Schecter Diamond Series Hellraiser – w/ Floyd Rose – Deluxe Setup. beautifully done. 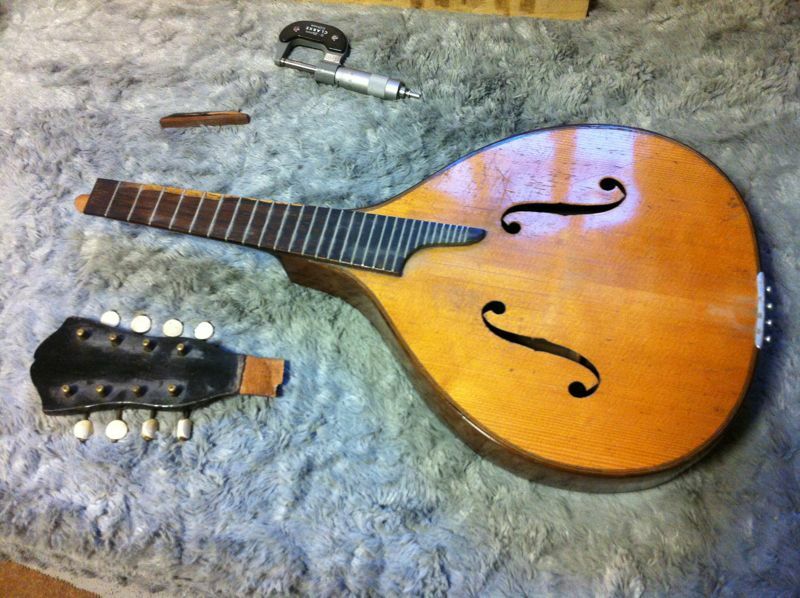 i don’t suppose you could repair a dean vmnt signiture that’s had a similar accident to that there mandolin? if so, how much would such a repair job cost? Hi Jordan, Send me some pictures of the break. 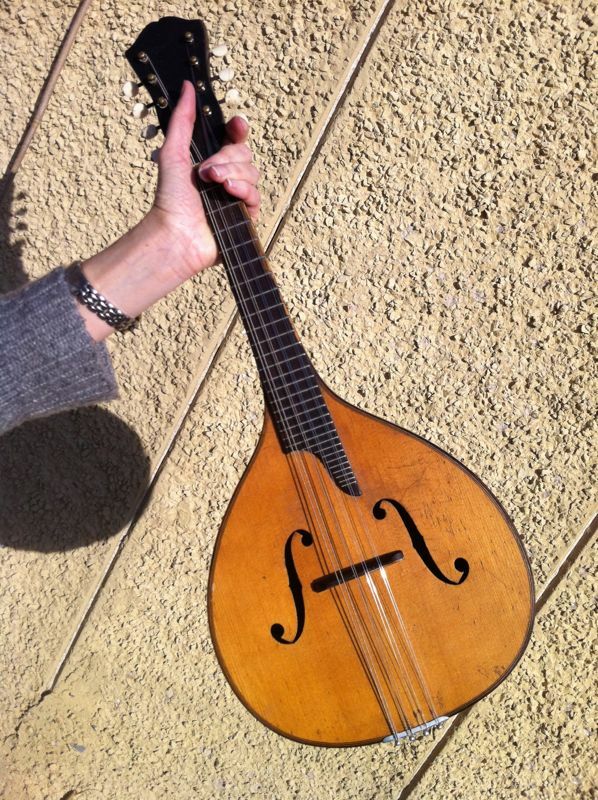 So long as the truss rod hasn’t been bent in anyway it should be possible.